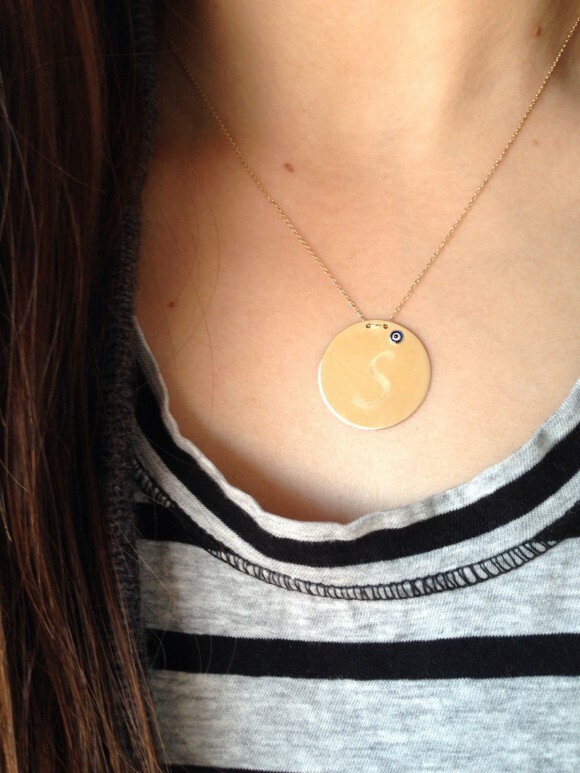 1) A beautiful gold initial disc necklace with a tiny evil eye. 2) Steve Silver’s Beach Ball Babylon came to Google for a special show and Q&A…insanely entertaining! 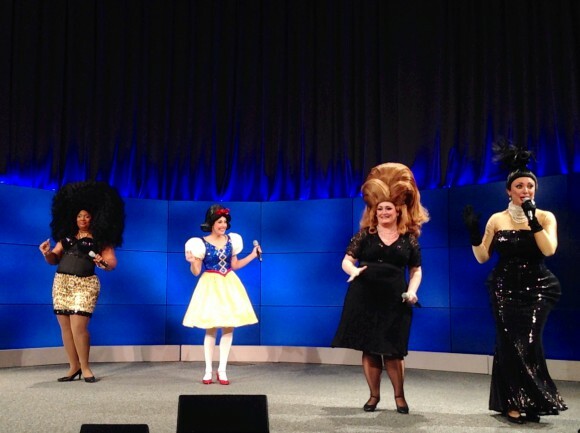 From left to right: Nicki Minaj, Snow White (she raps! ), Adele and Kim Kardashian. 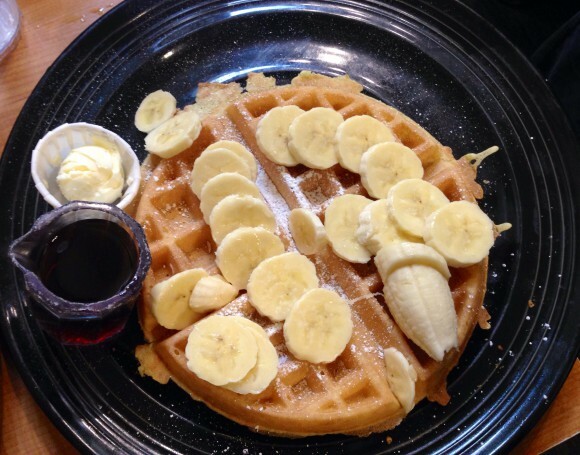 3) Delicious banana waffle for brunch at Los Gatos Cafe. 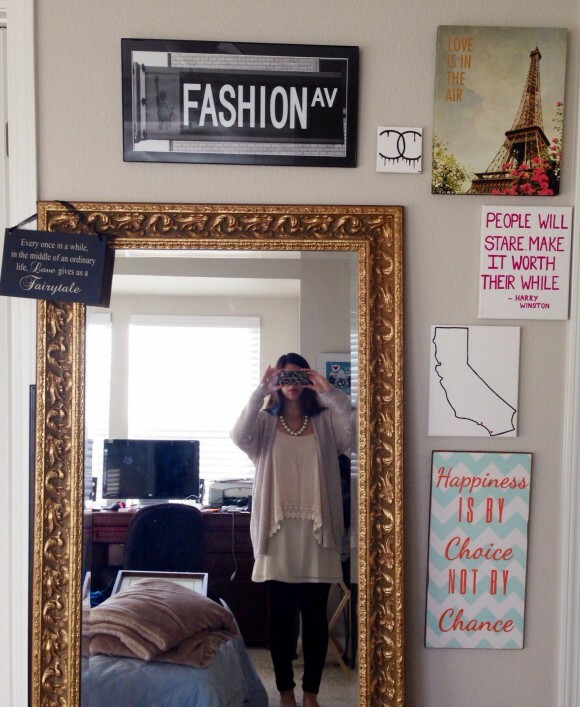 4) My favorite wall art pieces are finally hung up! 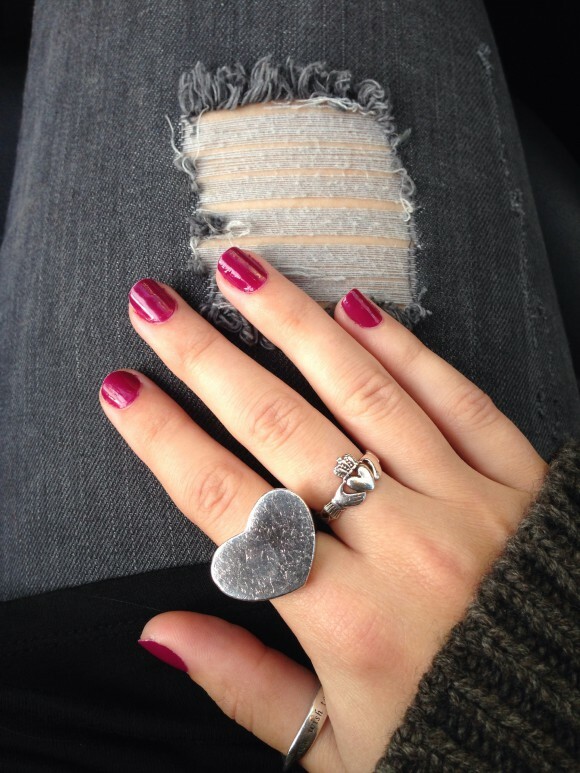 5) Ripped gray denim, berry colored nails and special silver rings. This entry was posted in Colorful, dress chic for me, dresschicforme, Embroidery, fashion blogger, feeling fine, fuschia, Gold Necklaces, Head Accessory, Inspiration, j.crew, Lace, Neutral, Neutrals, Pop Of Color, Stripes, Sweater, wall art and tagged banana waffle, beach blanket babylon, berry nail color, berry nails, claddagh ring, Dress chic for me, entertaining, evil eye, fashion blogger, fashion wall art, forever 21, from Ireland, gold, gold necklace, Google, gray denim, initial necklace, inspiration, inspired Wednesday, j crew, long hair, loreal, los gatos, photo inspiration, ripped denim, silver rings, so funny, steve silver's beach blanket babylon, stripes, sweater, sweater weather, Tiffany & Co, waffle, wall art. Bookmark the permalink.